During SXSW 2018, the HBO series "Westworld" came to life in a three-day immersive activation. I visited Sweetwater to see how this level of immersion could translate into themed entertainment. My first two posts list eight Lessons from SXSWestworld. Read the first post here and the second one here. In this final post, I'll focus on some of the things that I thought were missing from my SXSWestworld experience. As a whole, this experience was a home run. There were only a few things that made me step out of the role of a guest and put on the themed entertainment creator hat. It's hard to lose yourself in the immersion as you're simultaneously thinking of how everything works and analyzing on the fly. These four observations may not have been necessary or practical for the short shelf life of SXSWestworld. With that in mind, consider these four points as you design an immersive themed entertainment experience. WHAT WAS MISSING FROM SXSWESTWORLD? Guests flock to thrill rides because they bring us a near-death experience. Think of the boulder rolling towards us in the Indiana Jones Adventure or the Dementors in Harry Potter and the Forbidden Journey. Coasters feature danger before the thrills. Iron Rattler at Six Flags Fiesta Texas lifts out of your seat as you plummet 171 feet at an 81-degree angle. Thrill rides give us peril just before pulling us back to safety. "Westworld" is a show where things go wrong. While the in-park guests and Delos employees are supposed to be free from danger, the hosts have other plans. The constant threat of peril looms throughout the show. SXSWestworld was a peril-free experience. Some of the hosts shot foul language at us, but we were never in harm's way. If our rides and attractions give us a near-death experience, we should consider ways for our immersive lands to do the same. 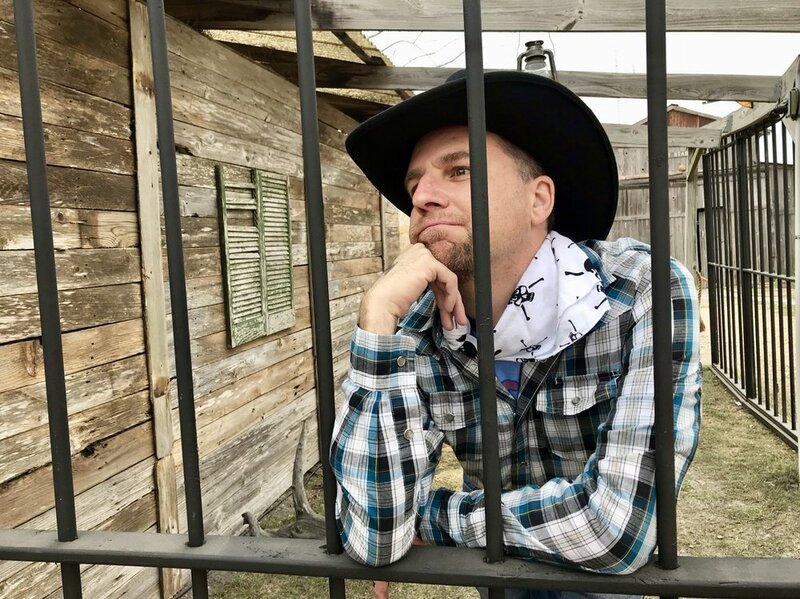 What would peril look at the SXSWestworld activation? Imagine that a Delos employee grabs your arm and forcefully shoves you inside a doorway. After walking through a dark hallway, you find yourself inside the office of Dr. Robert Ford — the park’s creator. After being forced to sit down, another Delos employee interrogates you about your experience. Who have you talked with? What have you seen? The conversation takes a turn, and you start to wonder if YOU are a host. After getting nowhere, the interrogator dismisses you back to Westworld. Small moments like this — ones that take you off to the side of the full show — can be a way to inject a sense of peril into the experience. Granted, in a theme park full of families, this can be tricky to achieve. Forcing a family member away from a group won’t fly. Can you soften the moment of peril? Can you deliver the peril in a side conversation? Make it global — the fate of the Rebellion is in your hands! There’s peril, but you’re not directly in danger. Finding a way to raise the stakes for your guests will pay off with a thrilling experience. Interacting with the hosts at SXSWestworld was the principal attraction of the experience. It's exciting to be chatting with the actors as they send you off to find clues. At the same time, if guests are only interacting with actors, then the illusion of immersion can disappear. When guests only seek out actors when they need clues or help, then the actors become nothing more than a checkmark on a list of "things to do." Encouraging guest-to-guest interaction opens up many opportunities for immersive storytelling. The SXSWestworld activation had a guest-to-guest interaction tactic that attempted to get strangers together. Outside of the Sweetwater jail, wanted posters — each one featuring faces of guests wandering the park —were posted. If you returned a “wanted” individual to the on-duty deputy, you received a reward. It’s one thing to be bold enough to speak to an actor wandering the town. It’s another thing to find a stranger and convince them to come with you. What's in it for them? Speaking for myself, I wasn’t up for approaching strangers for a reward. I can see how that kind of thing works better with a group. It’s much easier to hand over a family member or friend. The guest-to-guest interaction that I was more than happy to participate in happened organically. Two girls noticed that Colin was wandering around with his canvas painting. They approached him and said that they found another person with a similar picture. That woman was having no luck in finding answers. The two girls thought that showing the paintings TOGETHER would spark a reaction from a host. Ultimately, It didn’t work. It's possible that a specific host needed to see the pictures. While the poster paring didn't pay off, I enjoyed seeing that the task was a genuine way to get connect people. Rather than adversaries, we were working together. It was less awkward to approach someone seeking a common goal, rather than turning them in for a one-sided reward. If your themed entertainment experience is seeking ways to get strangers together, consider ways for them to pair up that have a shared reward. The bandit/reward scenario may work for close-knit groups or bold extroverts, but it’s a slippery slope. If my wife found herself on a wanted poster, there was NO WAY she’d be going with a stranger (or me). There’s a risk of posting a picture of someone that doesn’t want to be involved, and being singled out could ruin their day. Consider clue-based connections, where you need to find someone wearing a particular necklace or piece of clothing. Knowing that theme parks are large places where people hop between lands, you may need to add more connection opportunities in case the necklace you need spends all their time in Tomorrowland. Speaking of the wanted poster ruining someone's day — Austin resident Elijah Wood found himself on one of the wanted posters. I was a few feet from Elijah as he saw his face on the poster… and immediately ran away. The Westworld activation featured 50+ actors. This large cast was full of — as far as we know — 50 different backstories, agendas and stories that each of them could share. 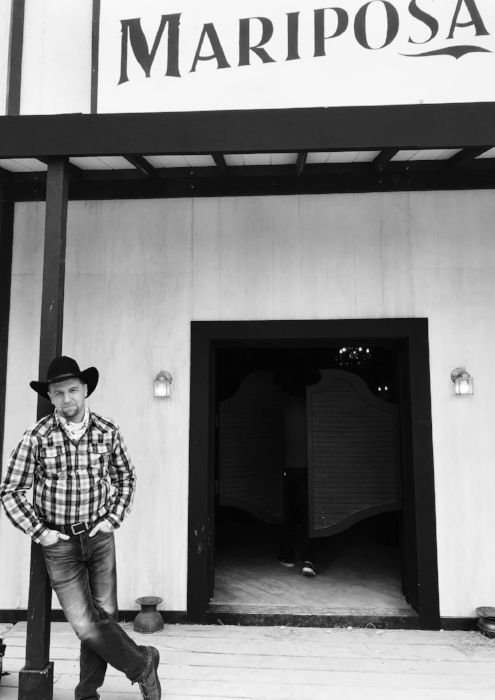 The focus of the SXSWestworld experience was on the actors. There were no attractions, shows, or shops to distract us. We were there for conversations. When I arrived, I was intimated by the number of characters wandering around. Where do I start? Who is the principal individual? Visitors could choose to spend 90-minutes following one character. What if that character does not reveal what the visitor wants or expects them to reveal? It's wonderful to have a choice, but for some people, it can be overwhelming. It’s likely that the experience was designed for us to experience SOME of the characters and SOME of the show scenes that took place at the different locations. In a themed entertainment space — full of distractions — some people may not even notice the characters. In SXSWestworld, they were designed to be around every corner. You did not need to travel far to interact. For a limited time experience, 50 characters was a good amount of people to make the town feel populated. For bigger themed lands, the amount of characters depends on the story you want to tell and the ease of initiating those interactions. Are 25 characters in the soon to be packed Star Wars: Galaxy’s Edge too many or not enough? Would anyone bother talking to 50 people? Do the guests need to interact with everyone, or will the game clues be passed out by key actors? Your cast can’t be window dressing — they look pretty, but don’t add anything. Seek to have a clearly defined story and populate it with an appropriate but not an overwhelming number of actors. Attractions have a test and adjust period — immersive experiences should do the same. Start with 30 players and examine if that is too much or too little. Cycle through guest feedback and see if interaction fatigue sets in. Will two Hogwarts Professors work fine rather than three? Obviously, there are budgetary reasons that will define your cast. No matter your cast size, make sure that they populate your word with enough personality and purpose to make each guest interaction memorable. The SXSWestworld experience was designed as a three-day experience. The project team worked for months writing, designing, building and casting this limited-time experience. The singular narrative and 90-minute show wowed fans, visitors and media around the country. There's no doubt that SXSWestworld could have run for weeks and it would still receive rave reviews. At the same time, would the Sweetwater show still feel fresh a month later? Would your conversation with the outlaw still sparkle? If you solved the riddles and knew the answers, would the experience be appealing? A three-day experience and a massive themed entertainment land are different animals. People visit them in very different ways. The Annual Passholder has different experiences and expectations than the family that visits every five years. No matter the experience, wonder fatigue will set it. People know the jokes the Jungle Cruise skipper will say before they say it. With an immersive themed entertainment land, sticking with one narrative from day one will inevitably cause the novelty to disappear quickly. If my son has uncovered the secrets of Star Wars: Galaxy's Edge during his first trip, why would he chat with a smuggler on his second visit? You will sail past the island if you've already discovered the treasure. Swapping out show scenes, ride audio and effects inside attraction is an expensive undertaking. Keeping an interactive narrative fresh OR completely changing your story would be a significantly less costly undertaking. In an ideal setting, you create two or three immersive stories while you're building your land. When it's time to open up, you have three set stories that can be swapped out daily. All three of these would — ideally — use the same characters and special activations or interactions that were built with the land. Guests would be more inclined to interact with the actors if there was variety. Guests would never know what narrative was "Running" on the day they visit — unless they initiated a conversation. Each quest would share the same interactions or show scenes or sets, but they would be used differently. You'd need to talk to the BB-8 unit instead of the R2 unit — depending on the narrative. The smuggler that you thought was a spy for the Rebels turns out to be a First Order sympathizer. Broadways shows run for years with the same familiar songs, lines and dances. Immersive experiences require tweaking so that the interaction is changing and stays fresh. If you don't tend to your narrative and refuse to adjust, then your actors will disappear. They will become a show without an audience. Just another photo opportunity instead of something really special. I hope you enjoyed my recaps from SXSWestworld. Do you have any additional thoughts to add? Do you feel that these lessons can be applied to themed entertainment? Let me know in the comments below. During SXSW 2018, the HBO series "Westworld" came to life in a three-day immersive activation. I visited Sweetwater to see how this level of immersion could translate into themed entertainment. 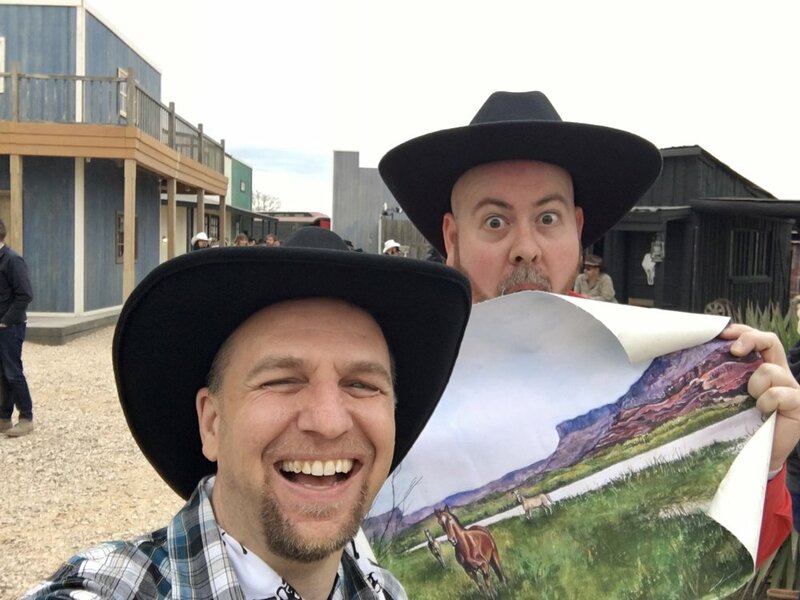 Read the first post, which contains my first four Lessons from SXSWestworld here. 5) ARE YOU BUILDING AN OPEN-ENDED OR CLOSED QUEST? As a show, “Westworld” is more than happy to give you plot twists, double takes and supply you with answers that only lead to more questions. One of the key plot features of the first season featured a character, the Man in Black, searching for something called “The Maze.” There was no doubt that the SXSW Westworld activation would send guests searching for clues about the show’s new season. I approached my visit to Sweetwater as if the town was one big scavenger hunt. I’d seen guests posting clues and tips from previous days. I went on Sunday, the final day, so there was plenty of information on social media that pointed out what to see and do. The one thing I hadn’t seen is a post on anyone “solving” the mystery. Was there a mystery to be uncovered in Sweetwater? On my visit, I found secret locations, participated in a chase for coins and assisted my pal Colin’s quest to make sense of the painting he’d dug up. We left Sweetwater without a definitive conclusion as to what the mystery of the town was. Did we miss something? The answer could be this = there was no conclusion to be found. Human nature drives us to tie things together. To find patterns that lead to a resolution. Why would we spend time searching for things that lead nowhere? I have no idea if there was a conclusion to the Westworld activation. It’s possible that the reward of the experience was the chase. The wands in the Wizarding World of Harry Potter allow you cast different spells. What happens when you complete them all? Nothing. You have the satisfaction of knowing that you did it. For themed entertainment spaces, it makes sense to choose one or the other — open-ended activities with no resolutions OR closed quests that can begin and wrap up in a day. For theme parks, it may make sense to be explicit with the quest — find a pilot, rescue a rebel — since the theme park visitor will have other diversions — rides, other lands, dining and such. Closed quests bring closure and a euphoric high. This could help parents who may have to deal with a compete meltdown if their daughter has to leave without rescuing a rebel or solving the big puzzle. Open-ended quests can still provide value and allow the theater of the mind to play a role in wondering what the assembled clues or artifacts mean. In IP-based locations, clues from upcoming movies can be placed inside the land. Guests will need to see the movie in order to understand the full meaning of what they found. He would never admit it, but Colin was getting sick of showing his horse painting to people. Roped into excavating the gravesite of Dolores Abernathy, Colin dug up a rolled up painting. Curious to know if it would reveal a clue, he started showing it to people around town. None of the hosts he showed it to recognized it. It wasn’t until he showed it to the town sheriff did he learn that the painting belonged to Dolores. The sheriff quickly accused Colin of murdering Delores! Dun dun duuuun! Colin was able to talk his way out of that encounter. While we knew WHO painted the picture, we didn’t understand WHY it was significant to the SXSWestworld experience. With the townsfolk of Sweetwater leading him nowhere, Colin turned to one of the Delos Incorporated employees that wander around the park. To Colin’s surprise — or relief — she told him that there was nothing special behind the painting. Another group showed her a drawing of a person that they found in their post office envelope. The same response — nothing special about it. There was a strange sense of relief knowing that someone was revealing this information. While the Delos employee stayed true to her character, she was very helpful and honest in that we were not going to dig any deeper. The Delos actor's commitment to the role never wavered. When presented with one of the mysterious table name cards some guests found in the hats, she said the meaning of those would be revealed on April 22nd. April 22nd is the date the new season of "Westworld" begins. She never said words such as “show” “premiere” or “episode”. She was still “in character” and let us know that we didn’t need to go nuts looking for answers. We don’t know if the Delos person was lying to us or was breaking character. It’s possible that she was a kind of Dungeon Master or Game Keeper — someone who knows the rules, can provide cues and be a rescue of sorts. Whatever she was, her actions helped us reset our expectations and enjoy our day. If you’re designing an immersive experience for a theme park, consider designating one of your players as a Resource Character. This is a character that delivers information that is stripped away of clues, riddles and mystery. When one of your guests reaches a frustration point, they are directed to the Resource Character for some straight talk. The Resource Character is AWAYS in-world. They act as a temporary mentor and guide. Their role is to give the guest a clear path towards the next point in the adventure. They would be a last resort — someone to assist a parent with a child on meltdown alert. Think of the Resource Character as a cheat code. They help you clear one hurdle, but may not help with the next one. Cosplay. Dapper Day. Disney Bound. Today’s theme park guests are decked out in clever outfits that are tributes to their favorite characters, films and attractions. While dressing in costumes is still restricted to children, teens and adults don’t think twice about themed threads. Bounding is the way to go. With the Westworld activation taking place in Texas during the annual SXSW conference, there was already a large number of folks in Austin wearing cowboy boots and pearl snaps. It’s hard to know how many people dressed up in Western garb just for their visit to Westworld. While the majority of people were in conference clothing, you could tell that some people went out of their way to dress up for their visit to Sweetwater. I put on a pearl snap shirt, grabbed a bandana and put on my less-dressy jeans for the occasion. Colin brought his hat, red western shirt and bolo tie. We looked nothing like the actors, but we enjoyed playing along with the activation. The Westworld activation shows that cosplay is not limited to theme parks or comic conventions. No matter what your IP is, fans will find a way to dress in a way that fits into the world. Embrace how your fans are dressing up to play along. Can you find a way to recognize and reward those that dress up? Will young children in Jedi robes be called to play a role in a secret mission? Will that adult in a Han Solo-ish outfit be questioned for smuggling? Consider what your guests will be wearing and tailor interactions around those outfits. Anger. Joy. Surprise. Love. Lust. These emotions were on full display by the visitors to Sweetwater. Actions by hosts — passing on knowledge or innuendo-loaded conversations with a prostitute — stirred up genuine emotions, thoughts and feelings. Themed entertainment experiences, such as theme parks, are shunned as fake, false and devoid of authenticity. The irony is that these spaces are places where genuine emotions are often stirred up. Children smile with joy in meeting a character and adults shed tears when they see Hogwarts for the first time. These actions are as genuine as those we experience in the “real world”. For me, the success of the Westworld activation at SXSW was not that it presented a fully realized world based on an HBO show. Every guest going in knew that these were actors and not robotic hosts (bummer). The success was that the experience and narrative evoked emotional responses from many of the guests, myself included. When emotions are activated, we become invested in the experience. We do things that we may not do back in the real world — walk up to a rifle-bearing woman and ask about their life story or team up with strangers to complete a quest. By stirring up authentic emotions in a fictional space, the Westworld activation drew guests into the experience in a way that many of them probably were not expecting. Activate emotions, and you have created an unforgettable experience. For theme parks, the same kind of emotional activations already exist. The challenge lies in having meaningful encounters with characters that we don't know. We recognize Mickey, Shrek and SpongeBob. None of the key Westworld characters were represented at the activation. New land-specific characters — Hogwarts Wizard, Rebel Spy — need to create quick connections without the benefit of recognition. The characters that interact with guests must stir those same emotions and reactions. Otherwise, the experience will feel like a facade. Check back on Monday, March 26 for part three, where I’ll talk about some things that SXSWestworld was missing. Were you able to experience at SXSW? How was your visit to Sweetwater? Did you uncover any secrets? Let me know in the comments below! For three days in March, the future of themed entertainment sat forty minutes outside of Austin, Texas. Populated with drunks, criminals, law enforcement, prostitutes and preachers, this destination was the location for affluent individuals who paid handsomely for an experience unlike anything else in the world. Every desire was at their fingertips. The setting was elaborate and pleasant, but it refused to keep its secrets buried.